CTfanman says – Good Business Is Where You Find It For The Power AC Fan! Not quite two years ago, we briefly introduced our new EC motor (Electronically Commutated Motor or ECM). 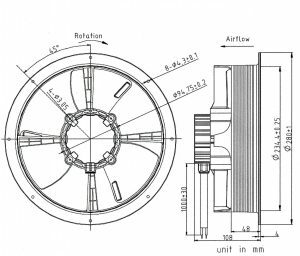 As we learned then, these motors have a huge advantage over standard AC motors: brushless, no or little heat generated, easily controlled at any speed and runs on either 120(115) or 240(230) volts. 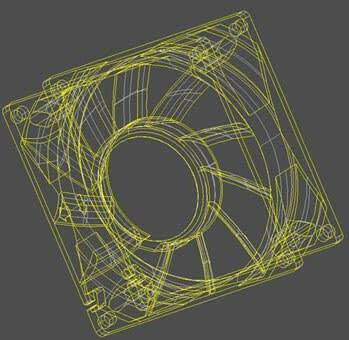 Since then we’ve been developing models of the Power AC Fan for customers for their particular requirements. This time, we will be discussing the YS Tech EC2801071122BH-EAQ-6 EC fan model, together with why I chose it for this month’s Blog. A preliminary spec is available for this model (just give me a call) and if you do, you will find this model will run on either 115V or 230V! 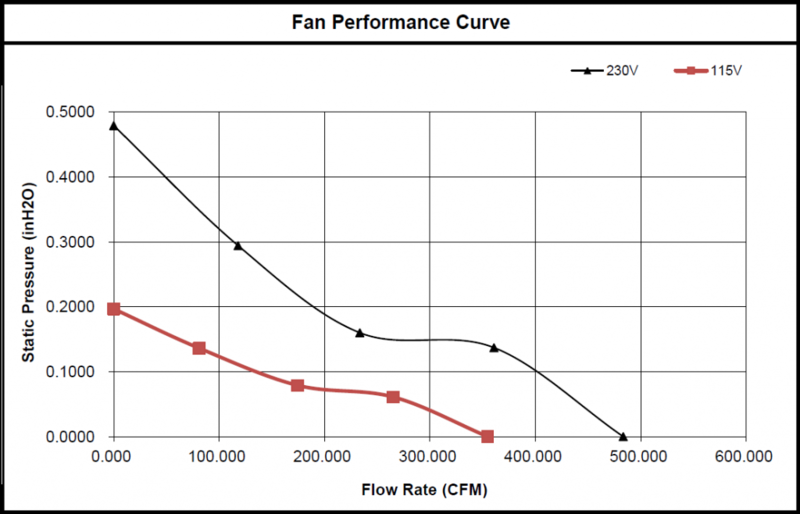 Depending on which voltage is chosen determines the basic performance characteristics (RPM, CFM, Pressure and of course noise). As you can see, it’s big, 280mm (11”). These larger EC fans don’t need to rotate very fast, 1200 or 1700 RPM, depending on the voltage. Moving a lot slower than most of the fans we’ve been discussing, it still has a bunch of pressure(4.99/12.16mm-H²O). The pressure increases dramatically as the RPM is increased. (Probably a good thing to keep in mind when talking about these fans to customers!). The RED line is the 115V model, the BLACK is the 230V. Notice the LARGE increase in the Pressure value from just a 500 RPM increase! What might we do with this information… share it with prospective customers, of course! In fact, I brought this entire subject up because we did well in 2016 with EC and DC fans in the Appliance and White-goods markets. 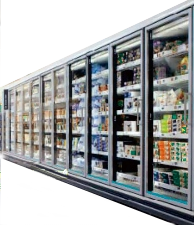 In this market our fans: are positioned to cool control electronics, circulate warm air for food warmers, keep evaporators and compressors cool and also provide the required air movement for those large open air refrigeration units that cools your favorite beer. When you talk to your customers ask them if system current values are important. Usually they will say yes and that can be one opening used to begin the EC / DC fan efficiency discussion. EC fans are gaining in popularity because they are “SMART” and efficient. Smart because they can be controlled to only do what is required and efficient because they have fewer moving parts and operate on rectified AC current or more commonly, DC. If your customer says they need an IP qualified fan, not to worry, we have that covered Too. This EC fan currently has an IP rating up to IP55 (dust protected and will withstand water jets). Of course the factory is happy to design our fans to whatever our customers demand.